Product #17455 | SKU CA-110 | 0.0 (no ratings yet) Thanks for your rating! 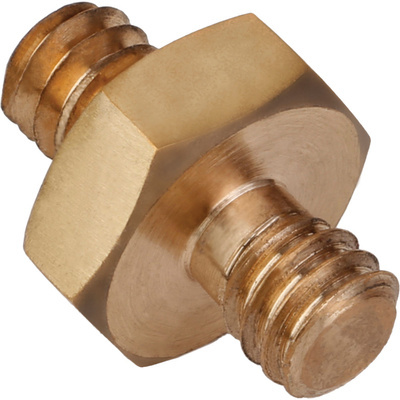 This Adapter Spigot from Impact is a male 1/4"-20 to male 1/4"-20 adapter. It allows two pieces of equipment that have female 1/4"-20 threads to be connected to each other. It has a hex nut center for tightening.